For fans of community tourism, archaeology enthusiasts, admirers of religious monuments, handicraft collectors, those interested by local traditions and customs and wildlife and adventure sports lovers. Puno city was founded in 1668, is the folkloric capital of Peru, located on the Andean plateau, this region is dominated by Lake Titicaca, sacred place of the Incas and home to natural and artificial islands. It has been the origin and cradle of big pre-Hispanic civilizations as Tiahuanaco, Collas, Quechuas and Aymaras, and of the mythical legend of Manco Capac and Mama Ocllo who emerged of its waters and went to Cusco to found the capital of the Inca empire. There are pre-Hispanic archaeological sites with circular constructions that still go by their original name of “chullpas”. 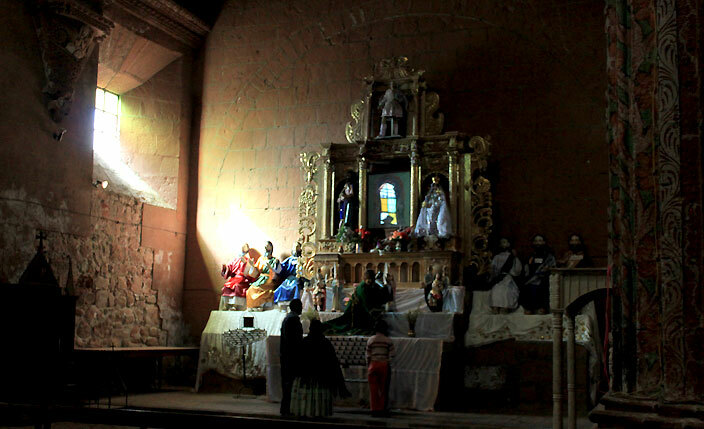 Its churches are characterized by their distinctive colonial architecture. 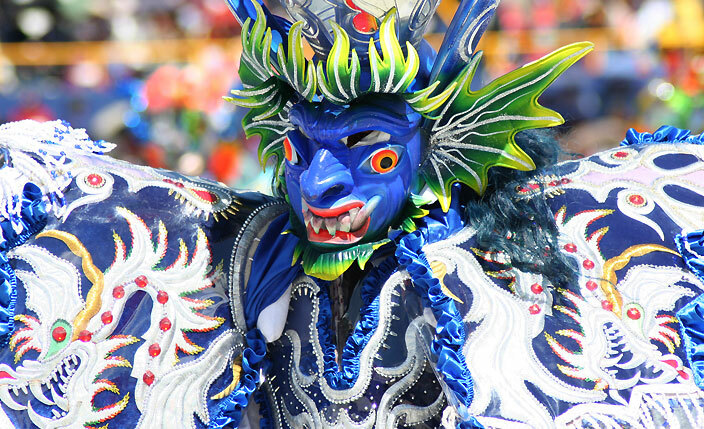 Many of the festivals, rituals, and actual ways of life remain from pre-Columbian time. 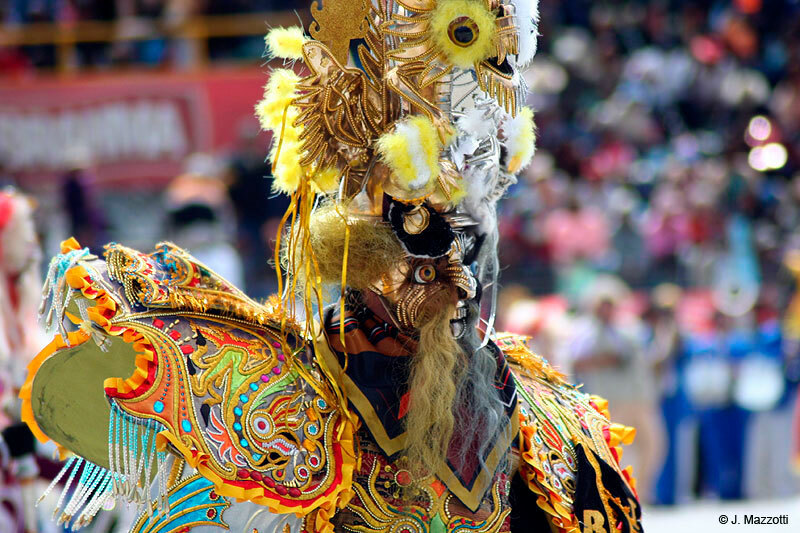 Its inhabitants are proud of their Quechua and Aymara past, and their folkloric tradition that can be seen every year in the form of dances and rituals during the Festivity of Virgen de la Candelaria. 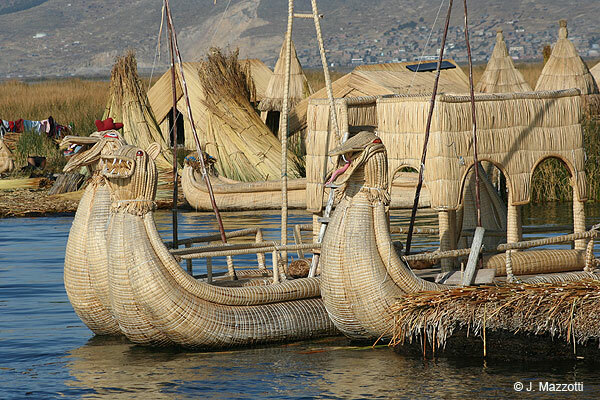 Puno is a legend, a multicolored festival, and home to natural and artificial islands. Puno doesn't win any beauty pageants—brown unfinished concrete homes, old paved roads, and dusty barren hills have dominated the landscape for years. It's a sharp contrast to Puno's immediate neighbor, Lake Titicaca. 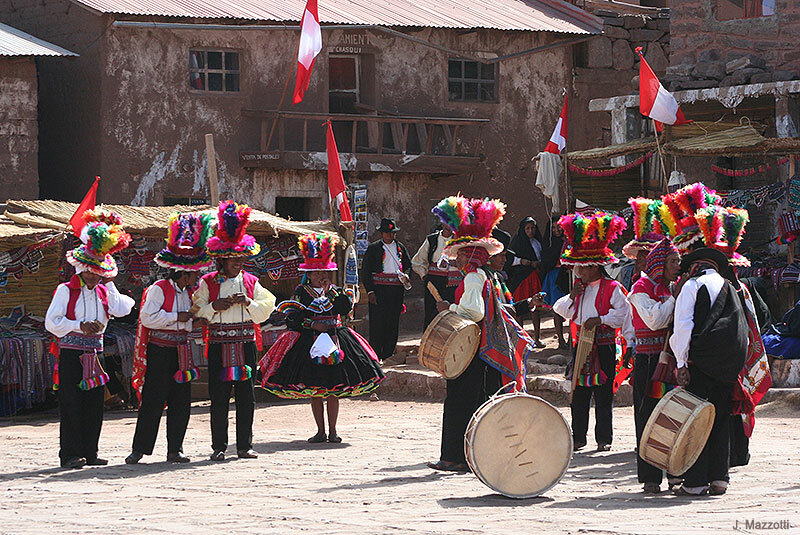 Some people arrive in town and scram to find a trip on the lake, but don't let the dreary look of Puno stop you from exploring its shores; it's considered Peru's folklore capital. Our guide to Puno and Lake Titicaca gives you expert recommendations on the best attractions, restaurants, hotels, and more. Founded in 1668 by the Viceroy Count of Lemos, its architecture is a mixture of their typical constructions of Andean style in the sides of the hills until the bank of the Lake Titicaca. Some colonial churches, large-houses, modest museums, lookout and natural viewpoints on the top hill. In front to the main square stands the Cathedral, a magnificent building baroque style of the seventeenth century. In Jirón Lima, a pedestrian street, featuring the restaurants, bars and handicraft shops. Major hotels are located at downtown and the higher category lakeshore with breathtaking views. Native people with colorful traditional dresses. The famed Yavari steamship museum. 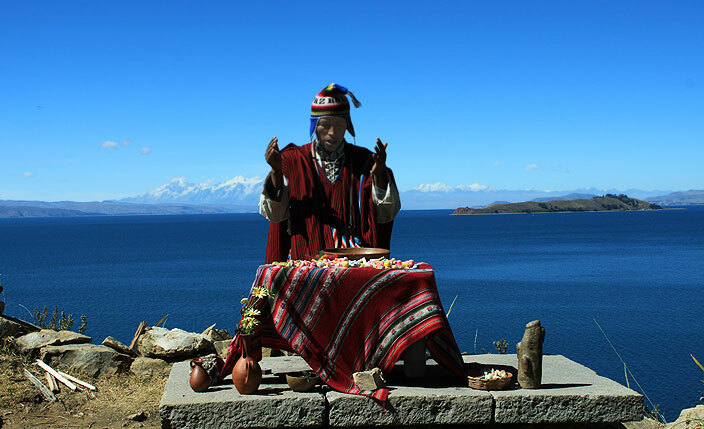 It is the starting point to visit Lake Titicaca and its islands. Important lake in Andean mythology, according to the legend, from its waters emerged Manco Capac and Mama Ocllo, sons of the sun god, founders of the Inca Empire. It's the largest lake in South America and the highest navigable lake in the world, its waters are shared by Peru and Bolivia. 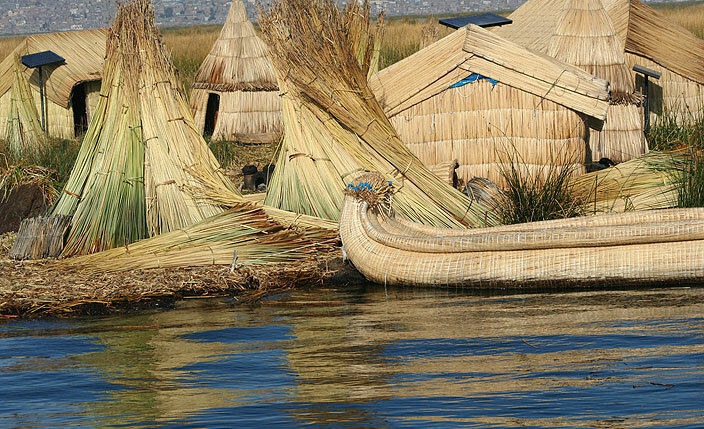 In the Peruvian side home to natural and artificial islands, highlighting the floating islands of the Uros, Amantaní, Anapia, Sun Island and Taquile Island an Intangible Heritage of Humanity (UNESCO). The tourists can make an authentic journey to the past in these islands and share the experiences with the Quechuas or Aymaras natives, even spend the night in their houses. 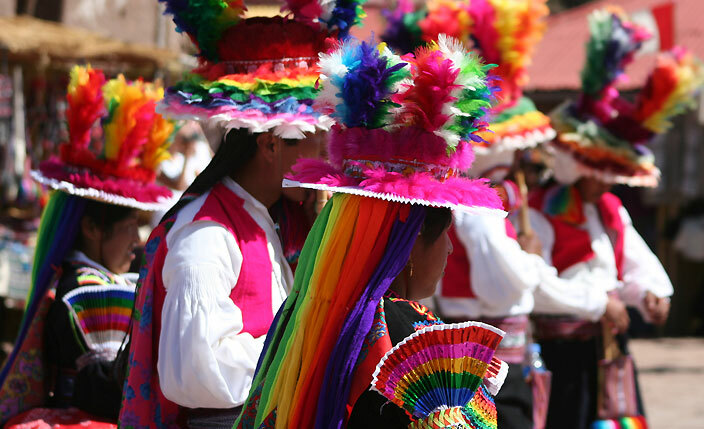 Amazing landscapes, native people with colorful dresses, rich in traditions and festivities. National Reserve of Titicaca protected natural area. 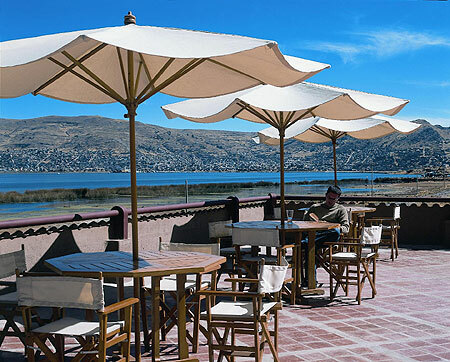 There are two important circuits, one which runs along the southern side of Lake Titicaca, with bucolic views, towns and villages with architectonic jewels maintaining their colonial splendor, from Chucuito, crossing Juli, the Peruvian Rome, Pomata and Yunguyo where reach the border with Bolivia, from where access to the citadel of Tiahuanaco. The other circuit to north of Puno, on the road that connects with Cusco, called the Corredor de Manco Capac you can found Juliaca, Llachón, Lampa and Pucará. 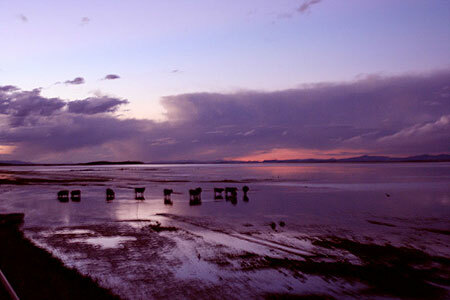 Large areas of grazing alpacas and llamas and excellent scenic beauty of the high plateau. The Collao plateau and around Lake Titicaca have been the origin of several pre-Inca cultures like Pucará, Tiahuanaco, Collas, Lupacas, then was domain of the Inca Empire. Important archaeological sites as chullpas of Sillustani, archaeological complex Kalasaya - Pucará, Cutimbo, Inca Uyo and Inca temples on the Sun Island (Bolivia). There are daily flights to Juliaca from Lima, Cusco and Arequipa, regular bus service to Puno from Arequipa and Cusco and the main cities of south of Peru. There's also train service from Cusco and coach tours from Cusco, Arequipa and Colca Valley. 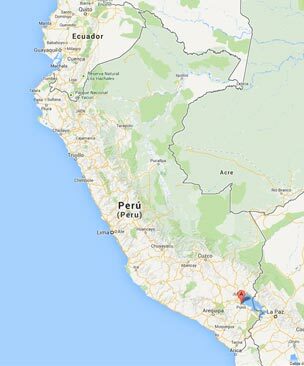 Located in the mountainous south of Peru, it shares a border with Bolivia. The land is more or less flat, because much of it is on the Collao plateau. As Puno is located at such a high elevation, it experiences more extreme weather conditions than would be expected for its tropical latitude. The average annual temperature is about 15 °C, and the weather never gets overly warm. During the winter months from June to August, night-time temperatures usually drop well below 0°C. At this high altitude, the rays of the sun are very strong. Most of the annual precipitation occurs during the southern hemisphere summer, with the winter months being very dry.